San Francisco attorney Mike Webster does not lose medical-malpractice cases. But his stellar reputation and faith are put to the test when he agrees to defend Dr. Johanna Anderson, a brilliant and beautiful psychologist. Jo is accused of failing to prevent the death of Seth Bell, a senator's son she was treating with a revolutionary technology-assisted therapy called the Mind's Eye. The controversial technique provides insights into what patients are thinking and feeling and determines whether they're telling the truth--so why didn't it detect that Seth was suicidal? As the case unfolds, a shadowy firm, Horizon Finance, sees a golden opportunity to profit by seizing the Mind's Eye and auctioning it to intelligence services around the world. And Horizon will stop at nothing--not even murder--to succeed. As the danger escalates, Mike and Jo feel the heat of a mutual attraction. But when Mike's loyal paralegal, Val, unearths evidence that could blow the case apart, Mike realizes he stands to lose much more than just a verdict. 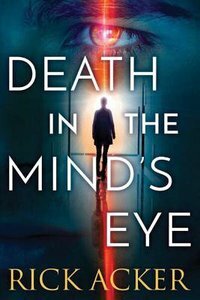 About "Death in the Mind's Eye"